So, John Tory. That’s him a year ago at our place, for the Festival of Joy. It’s a year later, and I’ve decided I am going to support him, and vote for him, and (if he wants me) volunteer for him. There’s ten reasons for that. He’s an adult. After 2010-2014, Toronto needed someone who was a grown-up and who would calm things down. Tory is that; he’s done that. He’s a good guy. Hell, he and his wife even went to an SFH show at the Bovine and stayed. Respect. He doesn’t want T-Rexit. Most reasonable folks agree that his main opponent – who promised many folks, in writing, that she’d never run – is not up to the job. Secession? Her solution is to separate? Will she put up a wall along Steeles, will she demand York Region pay for it? Craziness. He’s way better than any of the other alternatives. There’s a couple white supremacists, and a bunch of people with zero experience. In these challenging times, we need someone with experience and smarts. And who isn’t, you know, a white supremacist. He’s a centrist. That’s where most residents of Toronto are, and that’s where Tory is, too. He doesn’t ever go too far Left or too far Right. That’s why he’s still got approval numbers that are up in the stratosphere (70 per cent plus). He knows that the safest place to drive is within the lines. And, bonus: he isn’t a separatist. He’s smart. I helped out on his 2003 mayoral campaign, and I got to know him pretty well. He is, as noted, a decidedly thoughtful person. He doesn’t rush to judgment, and he isn’t an ideologue. Also: he went to see SFH. He’s unrelentingly decent. When my Dad died, my family heard from lots of folks – Stephen Harper called my Mom, Justin Trudeau (then a friend, now not so much) sent along some beautiful flowers and some great advice, Jean Chretien came to the funeral and they all made us feel a lot better. But John Tory? He sent my Mom a long handwritten letter that we have read many times since. He’s like that: he’s just decent, you know? In these dark Trump times, that matters. He’s done what he said he’d do. He said he’d build SmartTrack: it’s being built. He promised to scrupulously follow a code of conduct: he’s done that, and then some. He said he’d keep taxes down, and he’s done that. He said he’d aggressively go after the feds and the province for housing help: he’s done that, too. He said he’d get more cops on the streets, and he’s done that. He’s kept his word, I think. He believes in redemption. Some political folks – like Yours Truly, too often – never forget and rarely forgive. Not Tory. When I made a stupid, thoughtless, unfunny, idiotic tweet during 2014’s race, John accepted my apology – and we resumed our friendship. He’s been like that with others, too: when they make mistakes, and make amends, John gives them a second chance. It’s a good thing. Was for me. He’s prepared to fight for the city. I can attest to the fact that John Tory has been unafraid to give Hell to Justin Trudeau – and, before him, Stephen Harper. He’s done likewise with the Wynne and Ford governments – for example, in the latter case, just this week hammering Ontario’s new government for changing the municipal election rules during an election. Even though he and Harper belonged to the same party – and even though he and Trudeau share the same vote in Toronto – Tory has always been ready, willing and able to fight for what this city needs. His partisanship is Toronto. I suspect, but don’t know, he has the city logo tattooed somewhere on his body. He’s a likeable dude. In politics, even in the Trump era, that still matters. The ones who tend to do well are the ones – like Chretien, like Trudeau, like Tory – who treat others (even adversaries) with respect. That’s the John Tory I’ve known for a decade-and-a-half. Also, he came to see SFH. Points, man. And it’s why I’m supporting the guy again. And it’s why you should too. He said he’d contract out garbage collection east of Yonge. Not only has that not happened, Tory himself is the one who keeps delaying it calling for study after study. Thank you. This put a smile on my face, after a bad start of the day. Very reasonable. However, the hard right can put up quite a fight, as Rob Ford demonstrated. Tory should get a lot of the socialist vote that is not completely pomo-lunatic. If there is no hard right candidate that is a threat to beat Tory (and there doesn’t seem to be), he won’t get any socialist votes. Rob Ford wasn’t hard right. There is an actual hard right candidate, actually an alt right, even white nationalist candidate this time around. She has appeared on The Daily Stormer or whatever the hell it’s called multiple times. He’s a good choice and has my support. Keesmaat’s pal-Brad is running in Ward 37/35 or whatever it’s called. He is a city planner too. 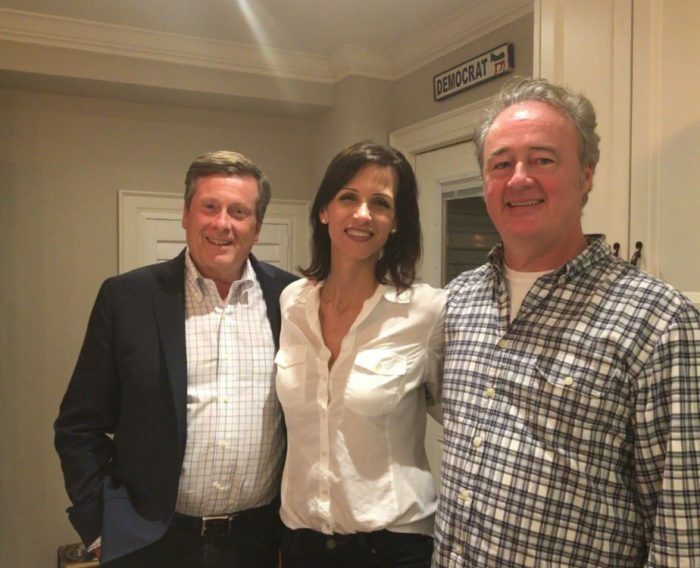 I guess he will want the Beaches East York riding to separate from the City of Toronto. So she has Brad, as her first lap dog. SmartTrack was an irresponsible, impractical campaign promise (which was supported to be almost operating by now) that has morphed into a few extra GO stops that the province probably would have paid for that the city is paying for instead. I don’t know him personally, but he sounds like a decent, honourable and thoughtful guy. I don’t know you either, but I honestly think it takes a decent person to actually recognize and admire decent human being for who they are. I have lived in abject poverty for about 40 years now but if I can ever scrape two dimes together I’ll attempt to make it to an SFH gig given the ‘positive vibes’ [see Kelly’s Heroes] that accrue from attendance, man! 4 years of “Do Noth’n” or “Rob Ford with nice manners” & a month of the bully at QP that you seem to be a fan of I’m frankly not surprised. Tories are as Tories do. Warren, I really like Keesmaat, but I can’t disagree with most of your points re Tory. A “thoughtful person” who “doesn’t rush to judgement” and “isn’t an ideologue” sounds like someone who analyzes a given problem or situation, examines the evidence and facts available, considers all the viable options (and potential drawbacks to them) and formulates a reasonable, rational and pragmatic response based on all the information he or she has accessed. It *does not* sound like someone who blurts out a knee-jerk reaction like “ban all handguns!” as his first response to a tragedy. That’s exactly the opposite of “thoughtful”, sorry. All the other points I can agree with. What is it about guns that makes otherwise intelligent people act so hysterically? They kill people in a way that gets extensive news coverage, unlike cheeseburgers. Ontario banned “pit-bulls”. Why not hand guns? At least they should be registered and the responsibility of the owner. Hand guns have had to be registered in Canada since 1934.